Traditionally this recipe uses honey, but since I am not a big fan of honey, I’m going to use Maple Syrup instead. Whisk together the orange juice, maple syrup, salt, rosemary, grated orange peel, garlic and pepper. Place chops in a baking dish and pour over the marinade. Make sure all chops are cover with marinade. 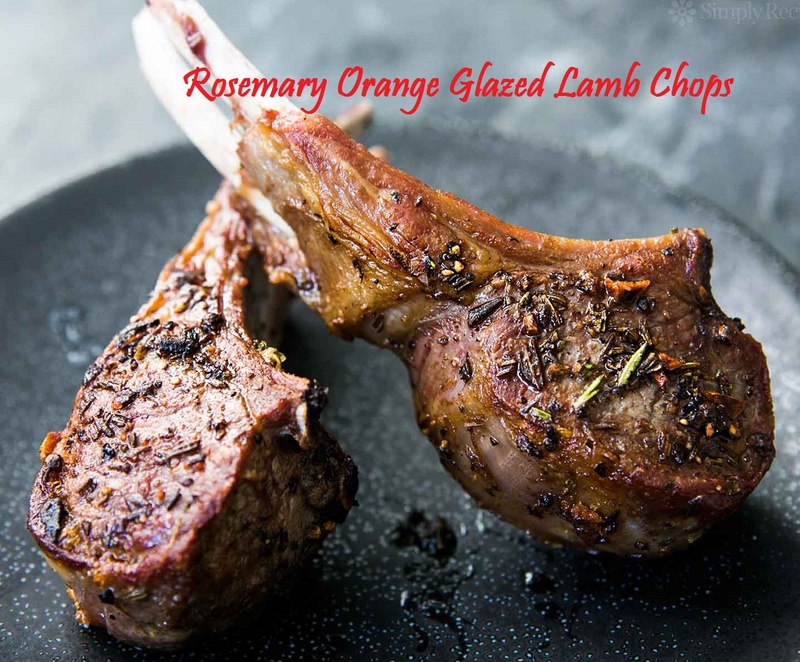 Cover chops with plastic wrap and let them marinate in the refrigerator 2 hours or overnight. Remove chops from refrigerator, drain and reserve the marinade. Let chops come to room temperature before cooking. Meanwhile, add marinade to a sauce pan and simmer until sauce is reduced by half. Remove from heat and set aside. 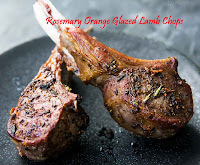 Put lamb chops on broiler rack and broil for 6 minutes on one side. Broil the second side for 5 minutes, or until desired doneness is reached. At time of plating, spoon marinade over each chop. Whisk together the lime juice, vinegar, orange juice, tamari, crushed red peppers, onion and garlic. Slowly drizzle in the olive oil as you continue to whisk. 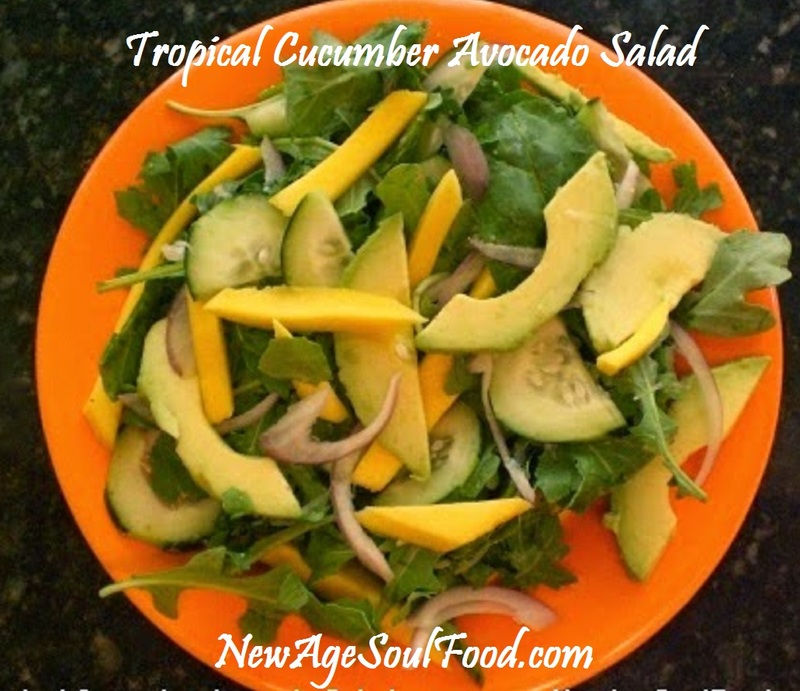 Add the cucumbers, avocados, mango and red onions and gently toss to coat. 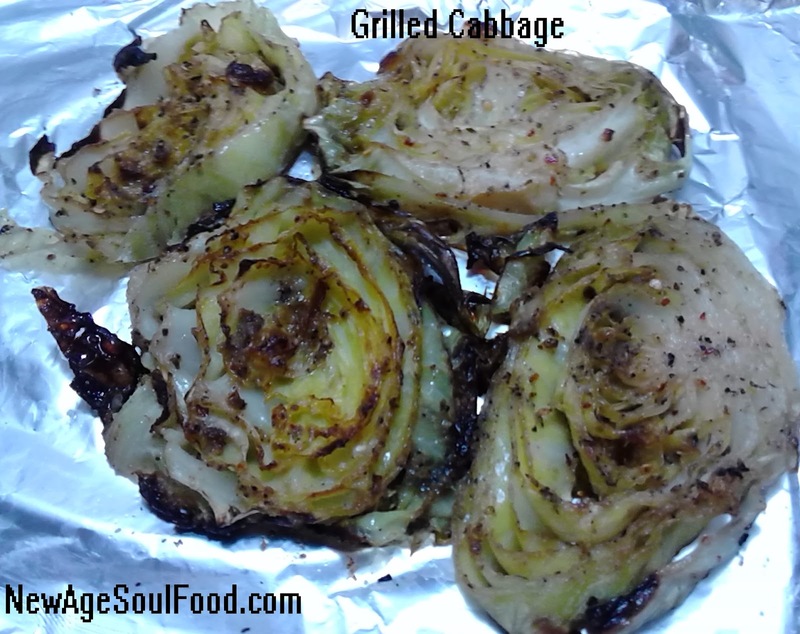 Note: This dish can be roasted in an over or cooked on a grill. It can also be eaten hot as a vegetable or cold as a salad. 1/4 cut freshly chopped herb i.e. cilantro, parsley, thyme etc. 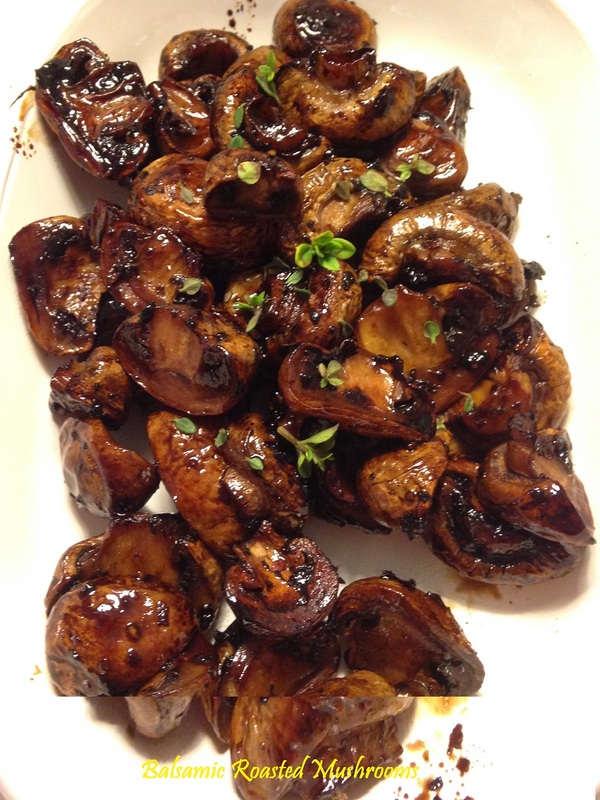 Wash mushrooms cut in half or cube and place them in a medium bowl. With the exception of the mushrooms and fresh herb, add the remaining ingredients to a blender and process until smooth and creamy. Pour the marinade over the mushrooms and mix thoroughly. Roast in a single layer on a lined sheet pan at 425 degrees for 20 - 30 minutes (depending on the size of the mushrooms). If serving hot: Toss with the fresh herb and serve. If serving cold: Chill then toss with fresh herb before serving. Cook rice as directed on the package. Let it cool for 10 minutes, then spread it in a plate, mix a teaspoon of sesame seed oil to it, so that the grains will not stick together. Set aside for later use. 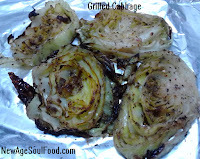 Heat grape seed oil in a skillet; add mustard seeds, when seeds start to pop, add lentils, chilies and onion powder. When yellow lentils turns slightly brown, add ginger, turmeric powder, bay leaves and carrots. Sauté until the carrots are slightly cooked. 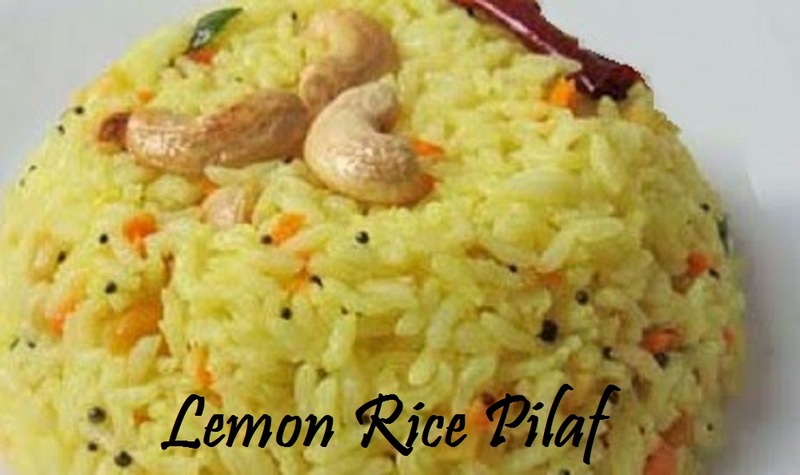 Squeeze lemon juice in a cup, add the salt and mix it in the rice. Add the rice to the skillet and mix thoroughly. Taste for flavor and add more lemon juice if desired.